Richmond Hill Liberal MP Majid Jowhari has angered many of his constituents and members of Canada's Iranian community with his response to the protests in Iran. Iranian-born Majid Jowhari was elected in the 2015 election to represent Canada's most Iranian riding. But his Iranian-Canadian constituents, many of whom strongly oppose Iran's regime, have become some of his fiercest critics. "As our government is closely monitoring the ongoing protests in Iran; it is my sincere hope that the brave nation of #Iran have the opportunity to air their legitimate financial, social and political concerns with the support of their elected government, in a secure environment and without the fear of persecution." That seemingly innocuous statement raised a number of flags for Iranian-Canadians, starting with Jowhari's use of the word "elected." Many also were astonished by Jowhari's description of Iranians protesting "with the support" of their government. One of the most popular chants, as heard in videos of the protests emerging from Iranian cities, has been "marg bar diktator" or "death to the dictator." In a statement to CBC News late Thursday, Mr Jowhari responded: "Having had the opportunity to hear from a broad range of perspectives over the past few days, it's clear to me that the word 'elected' has overshadowed my intent: that I implore all levels of the Iranian authorities to exercise utmost restraint and fully respect the rights of the Iranian people to freely assemble and to express themselves without fear of persecution or retaliation." For some of his constituents, though, the damage was already done. "If I can put it in one word: disgusted," says Richmond Hill realtor Hamid Gharajeh, who says Jowhari's actions since his election have shocked his Iranian-Canadian constituents. "Ever since he's been elected, all he's been doing is trying to work with the existing government of Iran, and trying to get them involved in Canadian politics, inviting members of parliament of this so-called government that has not been elected by the Iranian people." The Iranian diaspora in Canada is mostly deeply mistrustful of the Iranian government. Many Iranian-Canadians fear its ability to harm dissidents overseas, and fear even more its power over their families and friends in Iran. Gharajeh says that's why the "elected" comment has caused particular outrage. "The entire world, not only the Iranians, know this was a sham election. It's not a democratic process." In Iran, candidates are vetted by an unelected Guardian Council, and only those deemed loyal to the principles of the Islamic Revolution and to unelected Supreme Leader Ayatollah Ali Khamenei are permitted to stand. "The only feature of democracy is the voting, which is a joke," says Richmond Hill resident Farrokh Zandi, who teaches economics at York University's Schulich School of Business. "There's usually one candidate who's really evil and one who's slightly less evil. So people vote for the one who's less evil." Gharajeh says Jowhari's constituents were previously appalled when he invited a delegation of Iranian parliamentarians to visit him in his office and discussed setting up a parliamentary friendship group between the two countries, as well as re-opening Tehran's shuttered embassy in Ottawa. 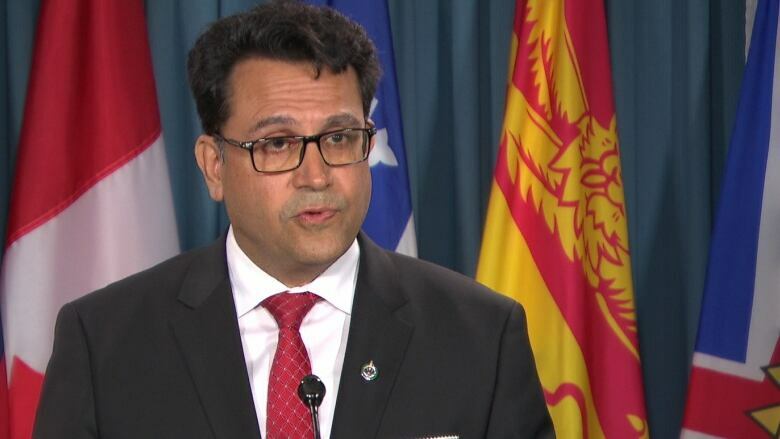 Iranian-Canadians were particularly troubled, he says, that the Iranian delegation included people with strong links to the Iranian Revolutionary Guards Corp (IRGC), the enforcers of the ayatollahs' regime. Zandi says the community knew little about Jowhari's politics when he won the Liberal nomination, and the Liberal wave that swept the GTA carried him into office. "It became more apparent where he stood after the election," says Zandi. "There's a great deal of disenchantment and anger against Mr Jowhari." At the time, Jowhari told local media that the meeting was a legitimate effort to exchange views, and not an endorsement. "It just means we are sitting at the same table and working on understanding the issues and we as Canadians have serious concerns," he told Yorkregion.com. "If we don't tell them, who will?" But Jowhari's contacts with Iranian officials, and his sponsorship of an online petition to reopen relations with Tehran, irritated another prominent Richmond Hill Liberal and Iranian-Canadian. The provincial member of parliament for Richmond Hill is Reza Moridi, who is also Ontario's Minister of Research, Innovation and Science. Canada broke off diplomatic relations with the Islamic Republic of Iran in September 2012. CBC News contacted the Prime Minister's Office for reaction to Jowhari's tweets, but PMO passed the inquiry on to Global Affairs, which merely referred back to previous general statements on the Iranian protests. Officials at PMO and GAC ignored follow-up requests for the Trudeau government to state its position on Jowhari's comments.